WHAAAA?!?! 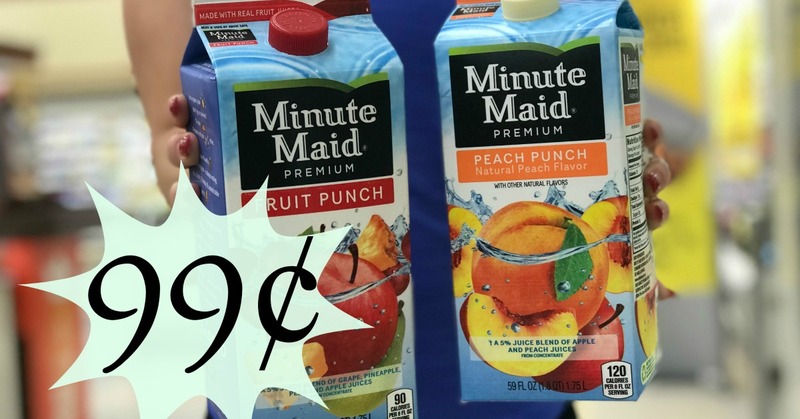 Minute Maid Fruit Drinks OR Ades are JUST $0.99 at Kroger!! That's insane!!!! Jacqueline's husband is a lunatic over Fruit Punch, so I know what SHE'S going to be stocking up on this week!!!!!!! Make sure you load up your Minute Maid Fruit Drinks OR Ades Kroger Digital Coupon before you head out!! !